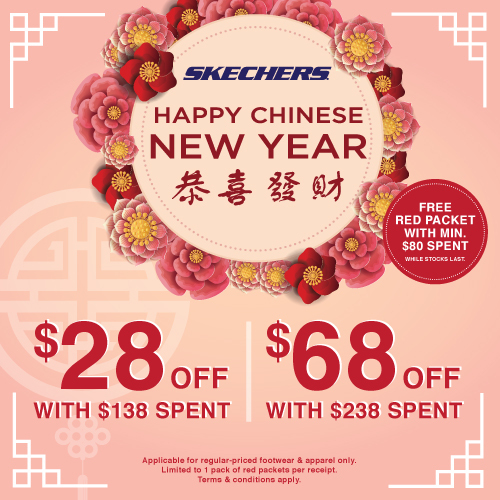 Usher in the lunar new year with Skechers! Enjoy $68 with $238 spent or $28 off with $138 spent! Receive a free set of red packet from us when you spend $80 and above! Applicable to regular-priced footwear and apparel only.